CyberLink’s complete creativity and burning solution offers a broad range of tools for organizing, enhancing and sharing user-generated content. CyberLink’s Media Suite lets consumers make the most of their digital multimedia, providing everything they need for playing with photos, videos, music, movies, and data. 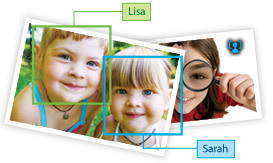 FaceMe™ Technology lets consumers sort thousands of photos in minutes. Once photos are tagged, they can be quickly sorted by name, and uploaded with their tags to Facebook. Advanced video enhancement tools upscale SD content to HD-like quality, and fix common video shooting problems with a click. 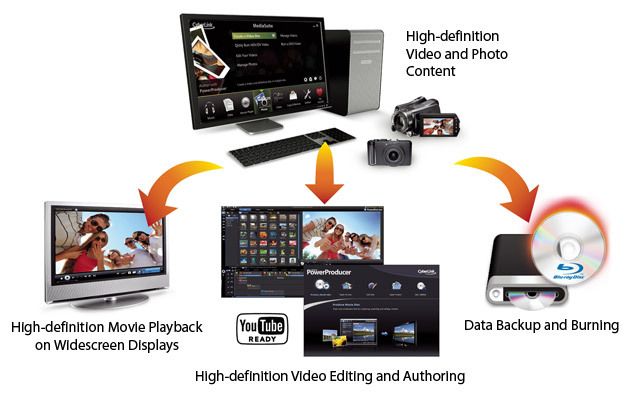 Support for hardware acceleration enables extremely fast conversion of high-definition video for output to portable media players, Blu-ray Discs, and more. Support for the Blu-ray Disc format and related home-theater technology enables the playback of superior movie quality, plus high-definition home theater audio. 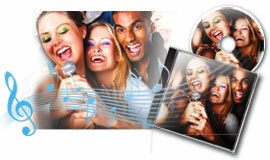 CyberLink WaveEditor allows consumers to create ring tones for their mobile phones and edit audio tracks before burning to disc. Protect valuable data with password protection by burning and archiving files to Blu-ray Discs or DVDs. Consumers can speed up archiving by using filters to only include the files they really want. 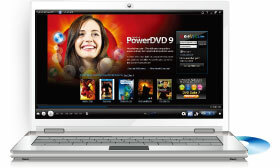 Make an exact copy of non-CSS protected DVD-Video discs by burning to a blank DVD.